Many children around the world are well acquainted with the Tooth Fairy—a fantasy figure in Western and Western-influenced cultures. According to folklore, when children lose baby teeth, they tuck them underneath their pillows at bedtime. During the night, the Tooth Fairy flutters in and replaces the tooth with a small amount of money or a token gift. The tale of the Tooth Fairy is well known in Canada, England, Ireland, Finland, Denmark, Australia, and New Zealand, as well as other countries. America’s Tooth Fairy tradition can be traced back to the 1920s, but the story is rooted in a range of superstitions once prevalent throughout medieval Europe. For centuries, many cultures have ritualized ways of disposing teeth. In medieval Europe, lost baby teeth were burned. People believed that if the teeth weren’t destroyed, witches could obtain the teeth and use them to gain control of the children. In Japan, China, and India, children tossed their lost bottom teeth to the floor and their lost top teeth to the roof. In Spanish-speaking countries, many children believe in Ratoncito Perez—a mouse that collects teeth and leaves small gifts. Spain’s myth is common in France as well. The eighteenth century fairy tale, La Bonne Petite Souris tells of a queen who was imprisoned by an evil king. She received assistance from a mouse who turned out to be a fairy. The benevolent mouse emancipated the queen and knocked the king’s teeth out. The fairy-mouse then hid the teeth under the king’s pillow. In the 1920’s, La Bonne Petite Souris was re-released in English as an illustrated children’s book. The sketches enabled the mouse-as-a-fairy concept to take flight. The Tooth Fairy also made a star debut in the 1927 play, The Tooth Fairy by Esther Watkins Arnold. 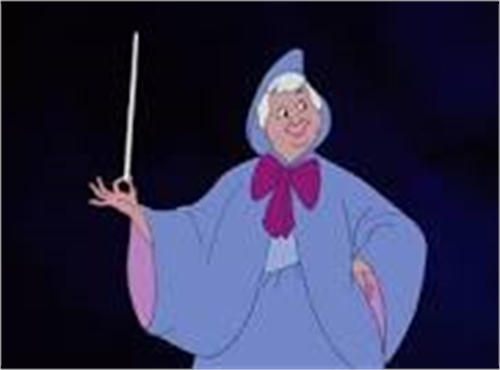 In 1950, Disney introduced the fairy godmother in Cinderella. Although the legend of the Tooth Fairy was known in America, the story became popularized after World War II when incomes rose.